Remember that Ricky Martin song “Living la Vida Loca?” It was released in 1999 and helped popularize Latin music in America. 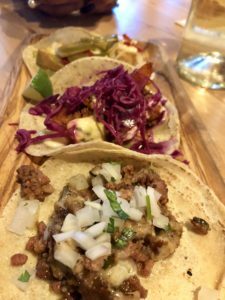 The words translate to “living the crazy life.” I hadn’t thought about that song in ages, until recollections of my dinner at Buena Vida have me humming the words. 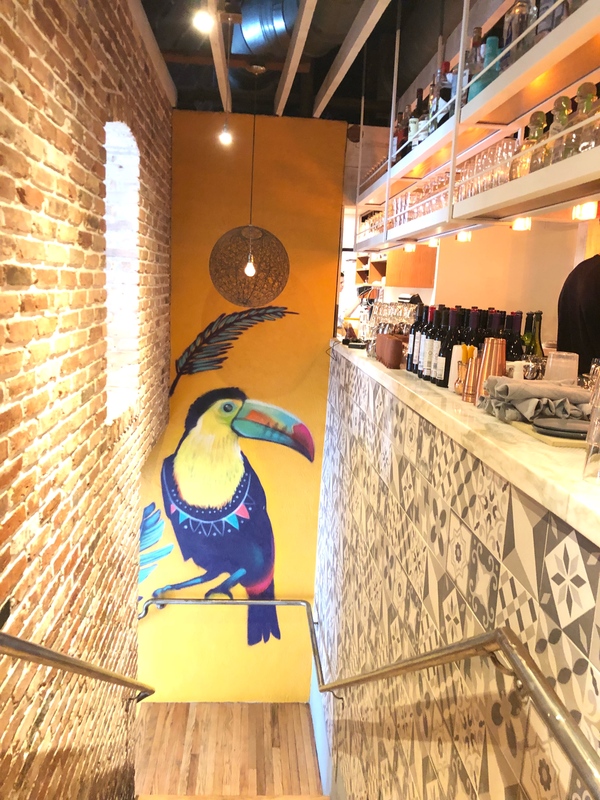 Buena Vida takes over the upstairs space formerly occupied by 8407 Kitchen Bar in downtown Silver Spring. The menu features Mexican cuisine from various regions of the country. The light and breezy décor with natural woods exudes a coastal vacation vibe. Ordering a cocktail is a Pavlovian response to the mood that’s been set. Initially I need to sing “Living la Vida Loca” to help me recall the restaurant’s name, which inexplicably is giving me pause. What I have absolutely no trouble remembering about this restaurant is the $35 Bottomless Latin Experience, which is available for weekend brunch or dinner. Dishes at Buena Vida are meant to be shared, with over 40 small-plate options to choose from. Diners often complain about restaurants that feature small plates. They leave hungry, they spend too much money, and my biggest issue…only getting to taste a bite or two of a dish. This is not a thing at Buena Vida. The fixed-price bottomless option erases all these concerns. Hooray! On the other hand, there are those who dismiss the all-you-can-eat concept because they aren’t interested in all that food. Trust me: the $35 investment is worth it, whether you stuff yourself silly or choose a more modest approach. There is an a la carte option as well, but it precludes others at the table from taking advantage of the full experience. Value is obviously a thing at Buena Vida, but what about quality? Seriously, the food is really good. Tacos, tostadas, enchiladas, quesadillas, guacamole, ceviche. 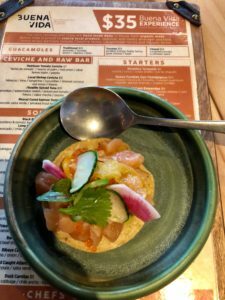 Everything you can expect at a Mexican restaurant is on the menu, but there’s often a modern twist. 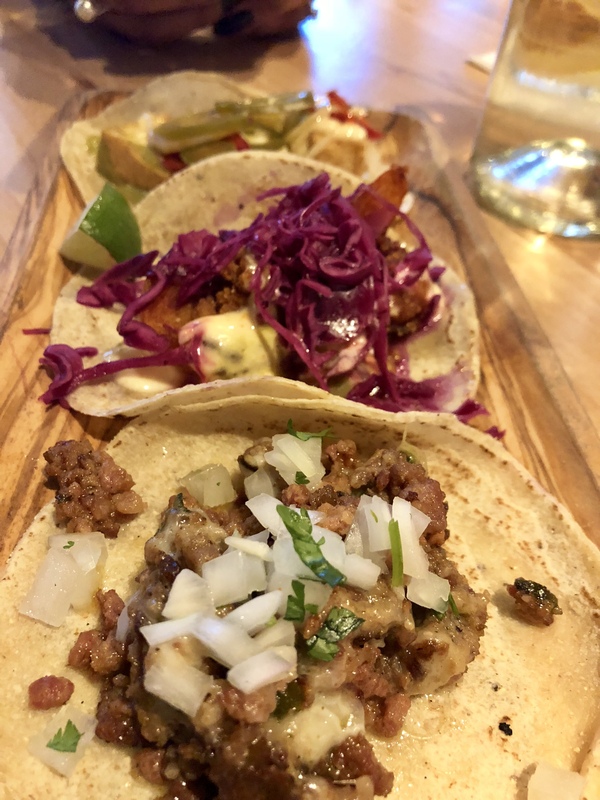 There are tacos filled with house made chorizo, stuffed with beef tongue and house cured bacon, and lavished with shrimp and black bean puree. Corn tortillas and chips are made in-house from organic masa. Duck carnitas are dressed up with orange, pickled cabbage, chile ancho, and hazelnut salsa. Ribeye steak skewers incorporate house smoked bacon and Oaxaca cheese, while roasted chicken is spiced up with bacon, white charro beans, and pepitas. If you’re sensing an abundance of bacon and pork, you are correct. But it’s easy to steer clear. Close to half the menu is comprised of vegetarian dishes. And this is where Buena Vida becomes a stand out. Queso fundido jazzed up with roasted mushroom and apricot chutney and crispy tofu tacos with avocado and pickled chili are winners. Heirloom tomato ceviche, mushroom and corn enchiladas, and sides of street corn and roasted baby squash also deserve a place at the table. 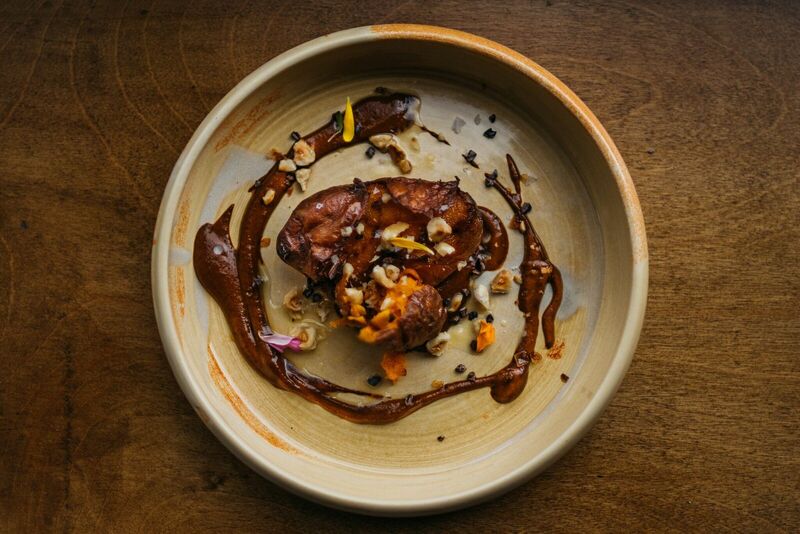 I’m particularly partial to the lip-smacking fingerling sweet potato tostones with hazelnut, ancho salsa, orange mojo, and cocoa nibs. There is no shortage of seafood at Buena Vida. Guajillo spiced tuna, mezcal cured salmon tostada, and seafood meatballs made from shrimp, crab, and lobster are just a few of the highlights. An array of salads feature fresh, seasonal ingredients. Jicama and green apple with heirloom carrots, chayote, and grapefruit is bright and lively. 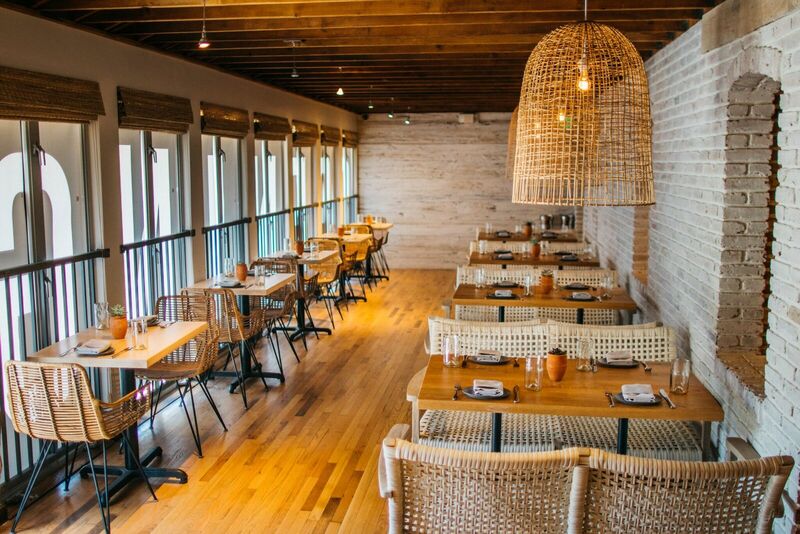 Buena Vida utilizes seafood from the Chesapeake, and meat and produce from local farms, shattering perceptions of traditional “all-you-can-eat” restaurants. 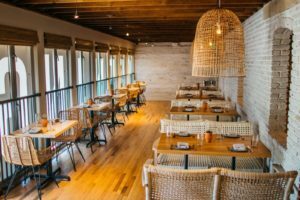 Also unexpected at first glance is the team behind the modern Mexican cuisine at Buena Vida. Owner Ivan Iricanin (Ambar, Baba) is from Serbia. A previous partnership with well-known Mexican chef/restaurateur Richard Sandoval originally set him on the path to Mexican food. Iricanin is the CEO of Street Guys Hospitality, which also operates Latin and burrito concepts in Serbia. Buena Vida Brand Chef Graham Bartlett also comes to Buena Vida by way of Richard Sandoval Restaurants. The first floor of the building is a separate concept from the group. 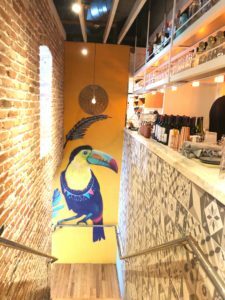 Tacos, Tortas and Tequila (TTT) is a casual taqueria with house-made tacos for $3 to $5 and tortas and quesadillas for $7 to $12. The literal translation for the words buena vida is “good life.” It’s apropos. Still, I can’t get the title of Ricky Martin’s song out of my head. Note: Don’t look up the lyrics- they are frighteningly dark. But this is a crazy good value, and a much needed option in Silver Spring, and I can’t help but sing its praises.